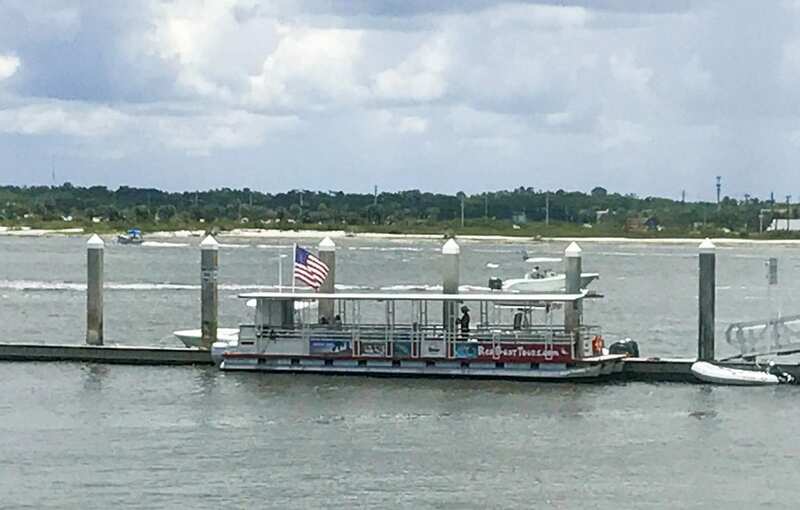 Why Red Boat Water Tours in St. Augustine? 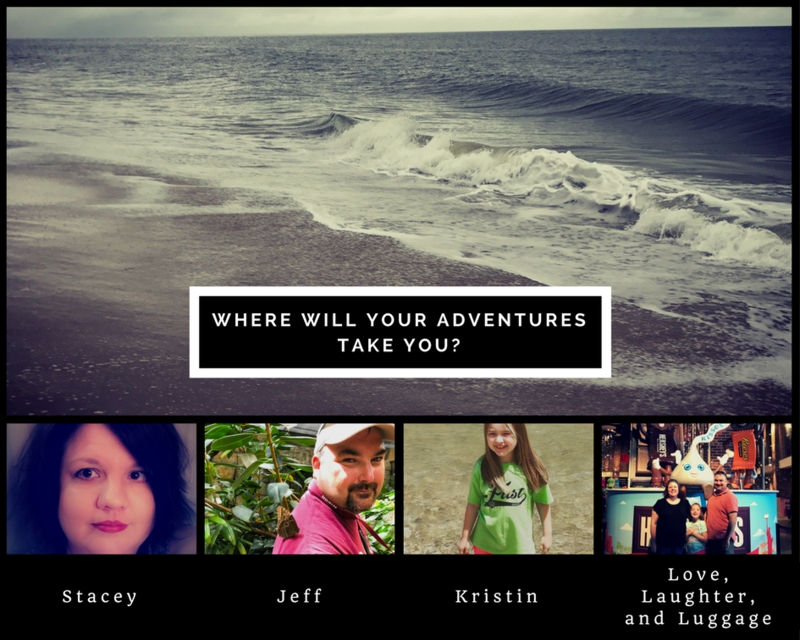 When we were planning our last trip to Florida, we knew we wanted to try some new things we’d never done before. 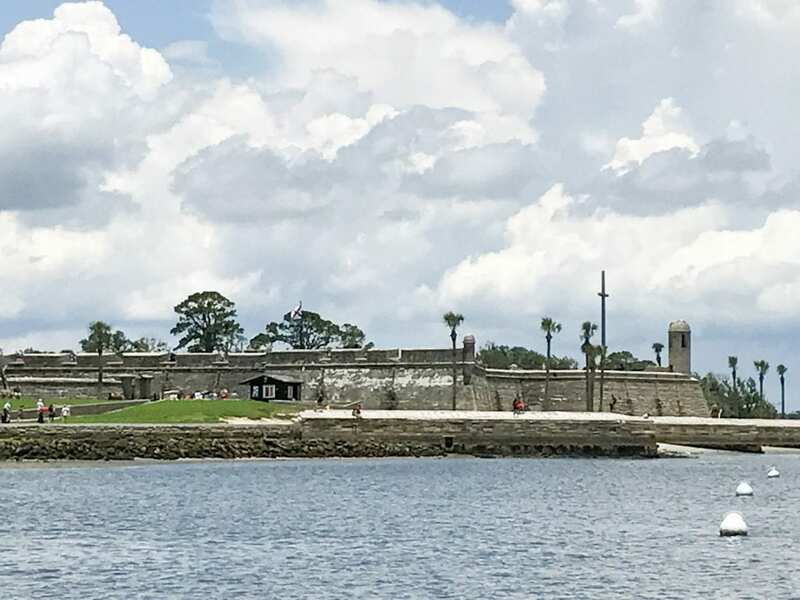 After spending time in Disney, we like to take things a little slower in St. Augustine. 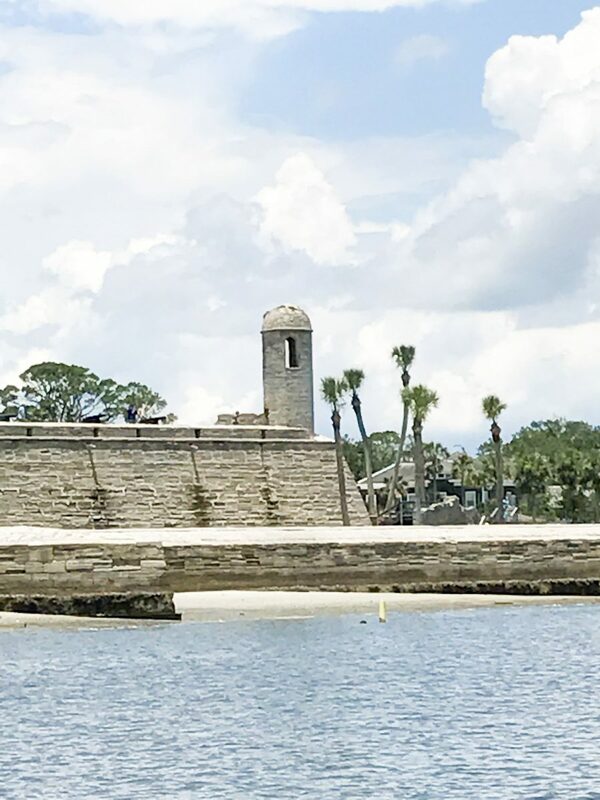 We love staying on the beach, and St. Augustine has so many things to explore. 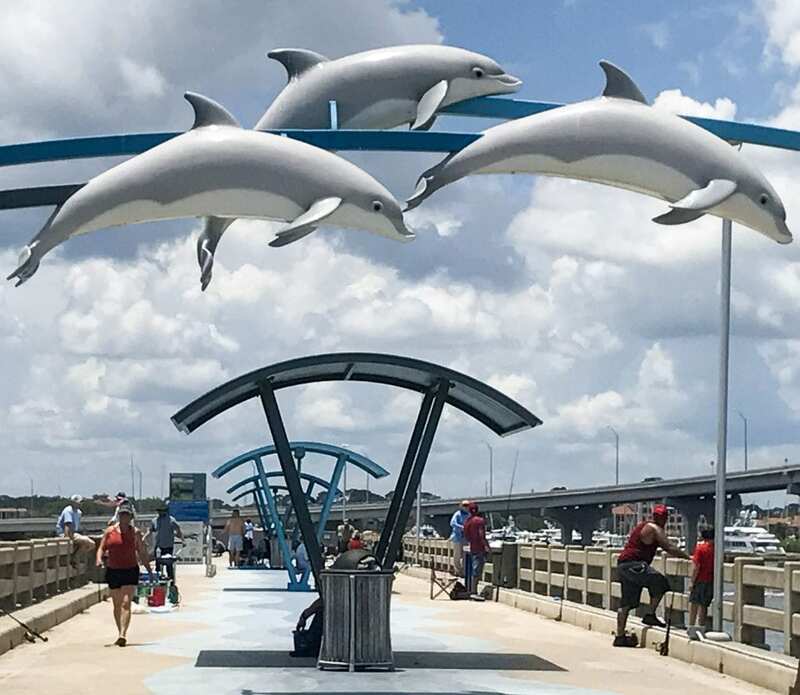 Taking a dolphin tour in St. Augustine seemed like a fun adventure, so we looked at our options. 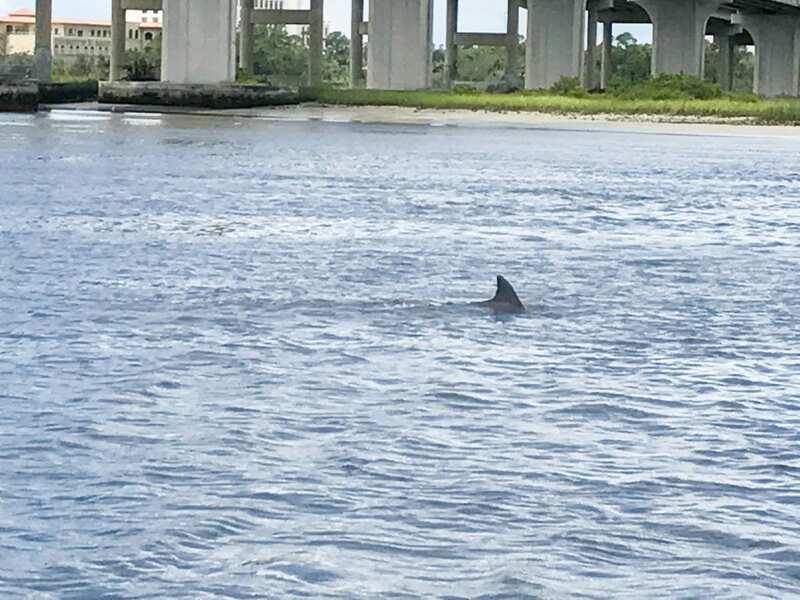 We’d never tried a dolphin-viewing cruise. Not anywhere. After looking around the Internet, we decided to book a tour with Red Boats Water Tours. We chose the Dolphin Odyssey & Sightseeing tour, and I am so glad we did! 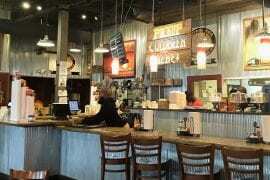 It was easy to reserve online, and they were running a special, so be sure to check the website. 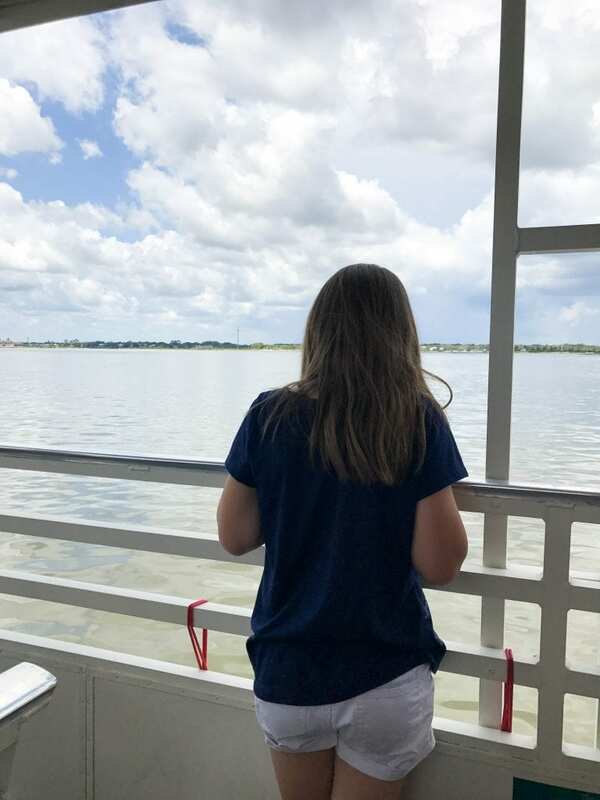 We also needed a daytime cruise that was family-friendly since we had our daughter with us, so we booked the 11:30 a.m. tour. We had an amazing time! To board the boat, you will need to park at the Vilano Beach Pier that is on the opposite side of the island from the ocean. 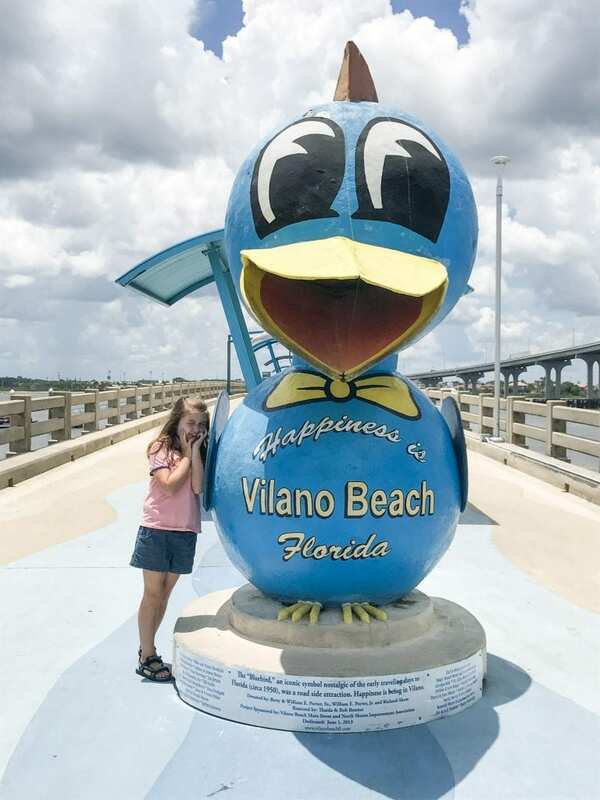 Vilano Beach is just a little north of St. Augustine, and it’s where we prefer to stay when we are in town. Red Boat Water Tours picks you up at the pier; you can’t miss their boat! We arrived early. That was my fault. 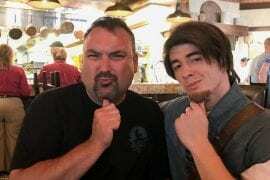 When I booked the tour, I didn’t account for the time change when I plugged the appointment into my Google Calendar, so we had plenty of time before our tour. We probably looked really eager. But in the end, we had more time to explore the pier area. Eventually, we decided we could make our way towards the boat without looking ridiculously enthusiastic. Miss Jennifer greeted us with a smile as we boarded. She said we could sit where we wanted, and she told us she had water if we needed it. 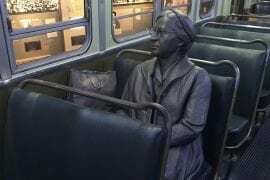 The three of us found a spot on a bench seat towards the front. I’m not going to lie; we were pretty excited. We waited for the others to arrive, and slowly the boat filled with passengers. The cruise was full! Captain Tony got things moving at that point. One great thing about the tour is all of the information you get from the moment you leave the pier. 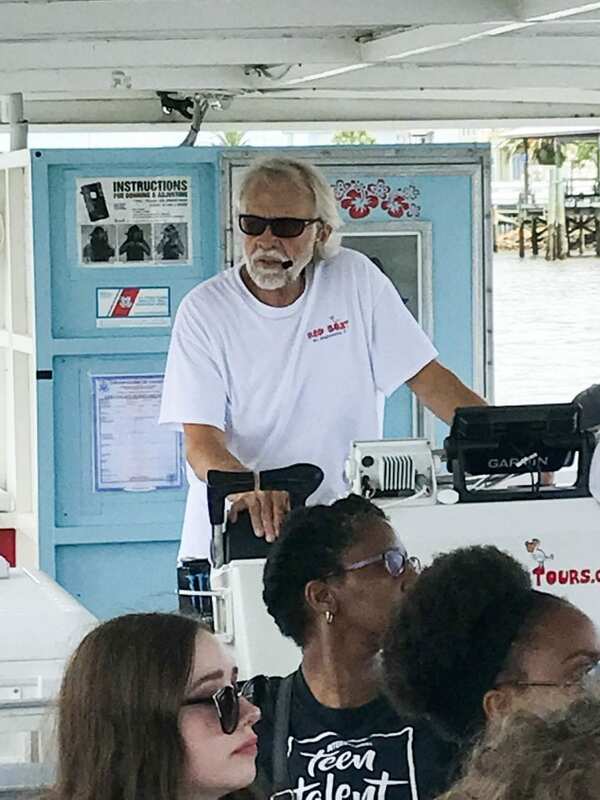 Captain Tony told us about the landmarks we passed and about the water at low tide and high tide as well as what was visible during those times. All of this is pretty interesting to landlocked Midwesterners. For the first part of the tour, we mostly learned information about the area. 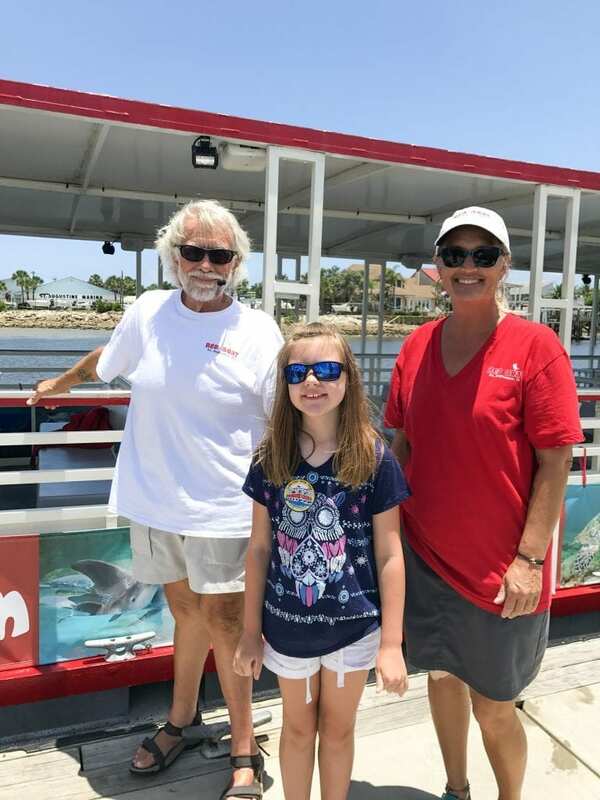 Red Boat Water Tours says there is a 96% chance that you will see dolphins during the cruise. For our tour, that happened after we passed downtown St. Augustine. 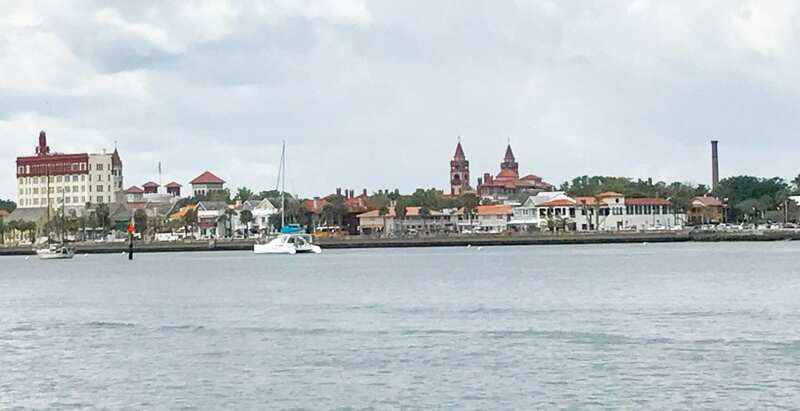 I loved seeing St. Augustine from the water. I’d never had that vantage point before. 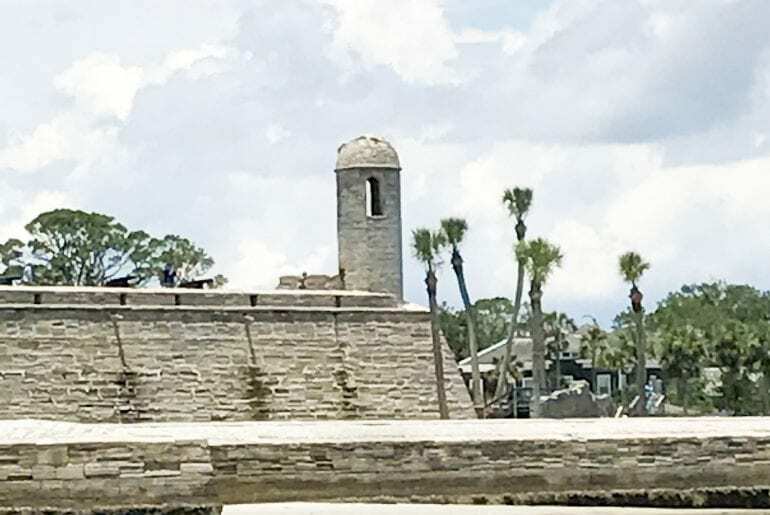 We also got a look at the Castillo de San Marcos from the water side. 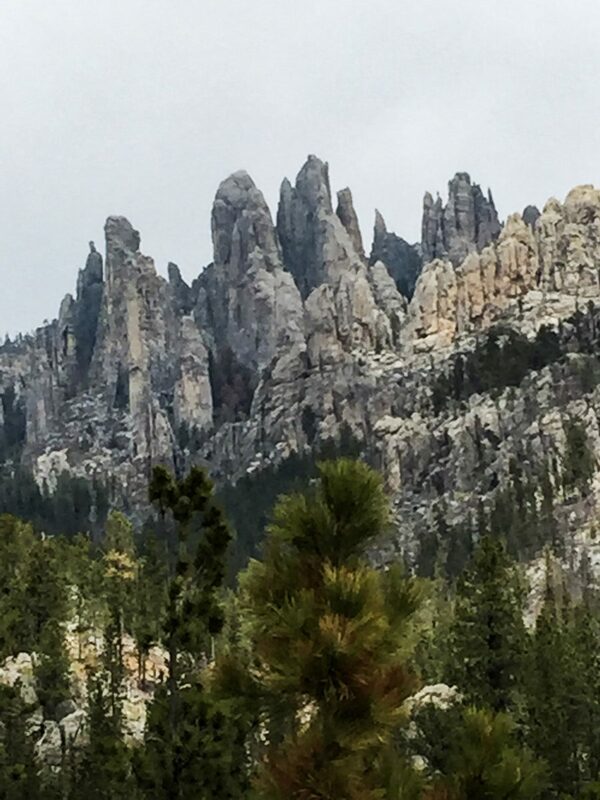 During the tour, it started to rain. Miss Jennifer took care of us by giving us blankets to keep the rain off of us. Both Miss Jennifer and Captain Tony wanted us to have a wonderful experience, and they did everything they could to make sure we were comfortable and having a good time. 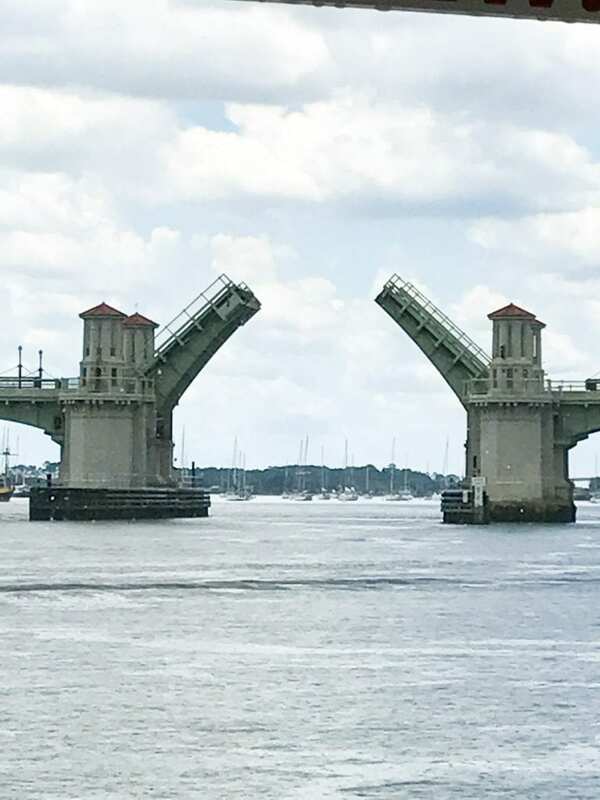 We also got to see the drawbridge in action on the Bridge of Lions in St. Augustine during the cruise. We watched the Black Raven pirate ship go through the opening. 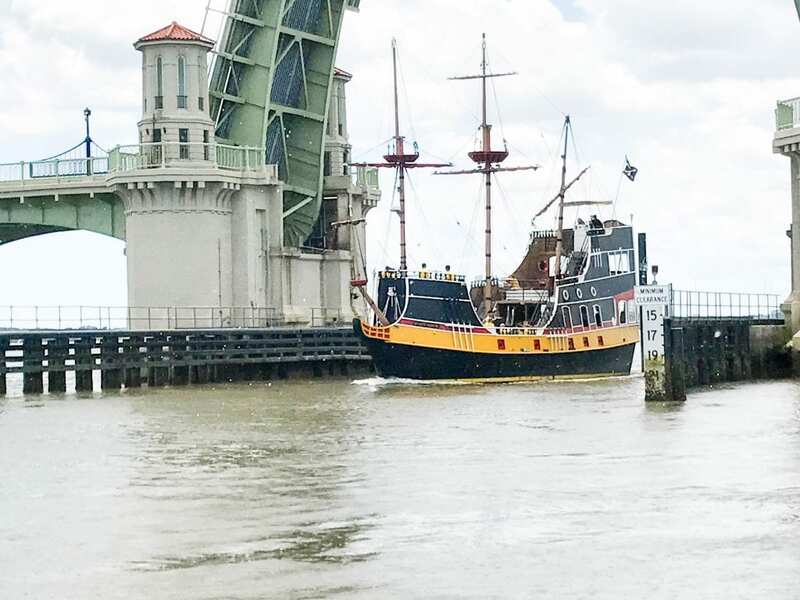 The Black Raven offers pirate-themed tours that sound like a lot of fun, especially for kids. It’s quite possible that you may see dolphins before we did on our tour, but I liked that we saw the dolphins towards the end because it was like the big finale of an already enjoyable cruise. When we did find them, they were everywhere! They were enchanting! At times the dolphins surrounded the boat. We all had fun pointing them out to each other, and Captain Tony was helpful in spotting them for us. They are not the easiest creatures to photograph; once you see them, it’s hard to get the shot before they go back under. It’s easier to get a video. The tour is 90 minutes long, but the time passed so quickly! I would gladly sign up for a longer tour in the future. 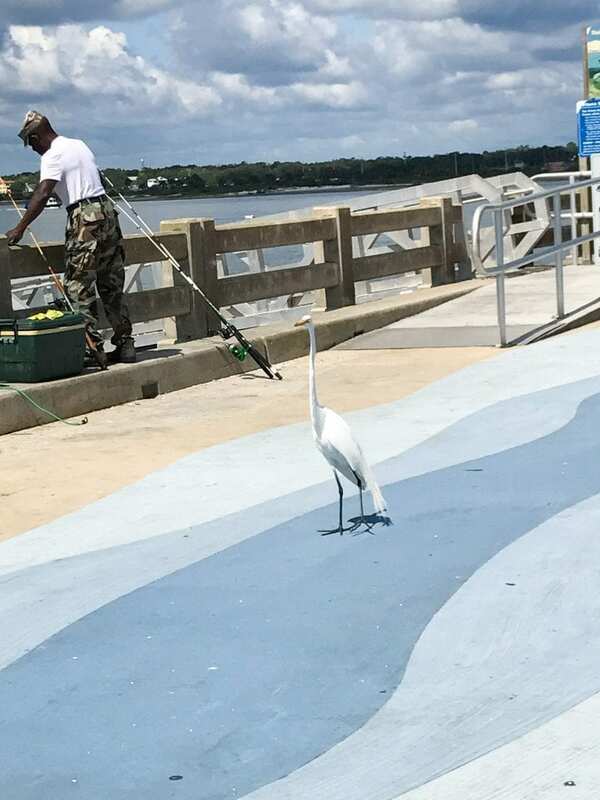 Before long, we were back at the pier. We had a blast meeting Captain Tony and Miss Jennifer. 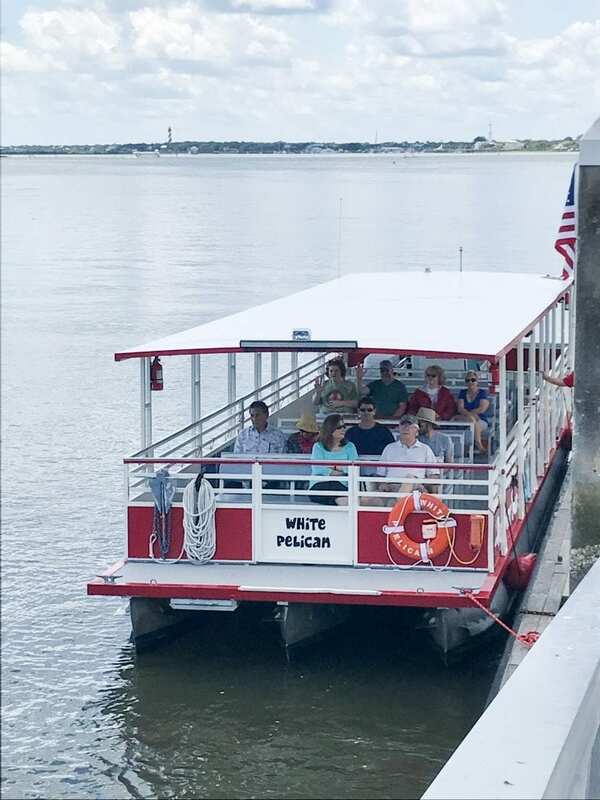 They went out of their way to make sure we had a great dolphin cruise, and we would certainly use Red Boat Water Tours again. 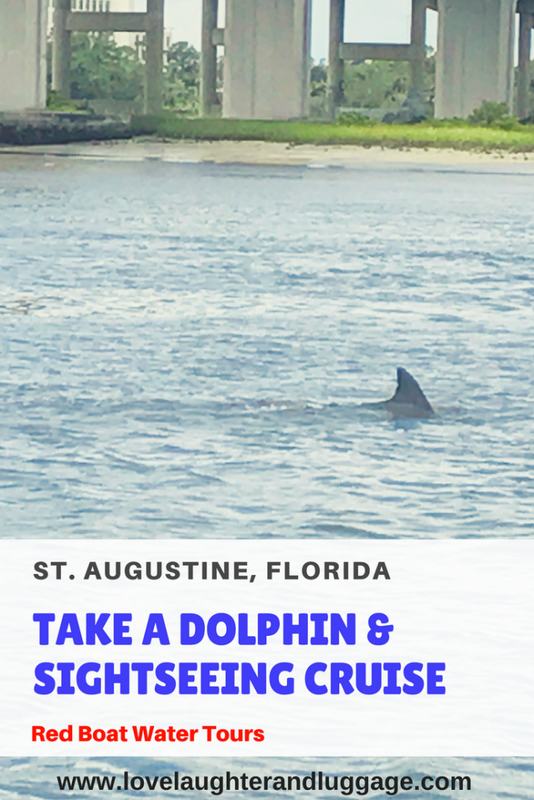 This dolphin cruise is one of my favorite memories of our time in St. Augustine!